Give a Stanley Park Nature Experience! Order an outdoor nature experience for your loved ones this holiday season and we will mail them a beautiful native plant card with coupons for any Nature Walk they would like to attend. This unique gift idea is only available for purchase until December 18! Hand drawn native plant cards (lower left) are available with your “green gift”. 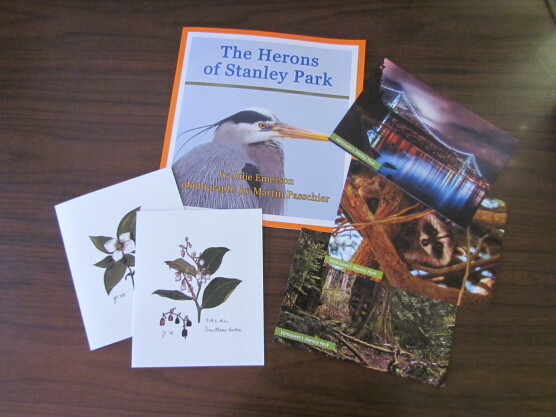 You also have the option with your order to make a donation to the Stanley Park Ecology Society in your loved one’s name. Please check our events webpage for all the Discovery Walks that are eligible through this gift. You can choose which walk to attend at any time, but please be sure to contact us to register your gift recipient. 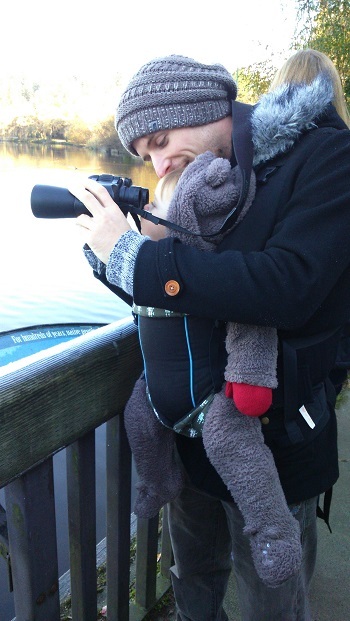 You’re never too young to bird watch with our “Birds of a Feather” nature walks!